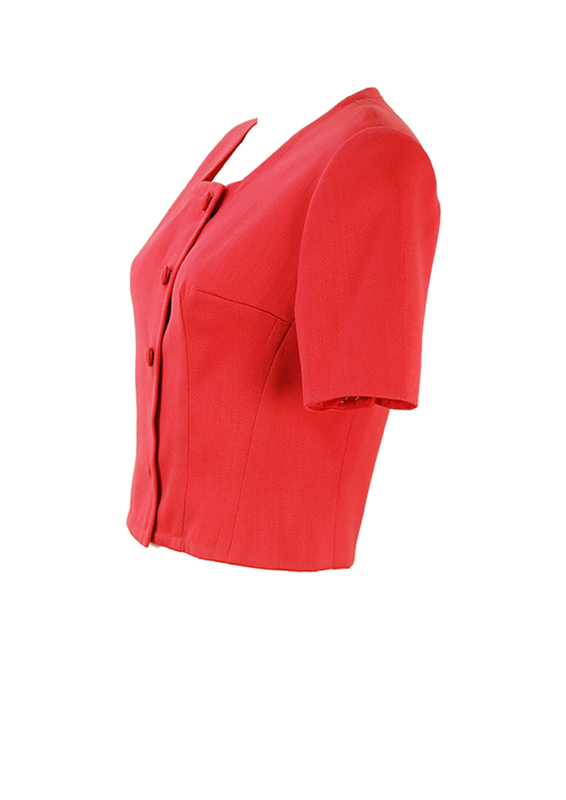 Vintage 1960’s Jackie Kennedy style jacket in a hot coral pink with short sleeves & matching fabric buttons that fasten to the side. The jacket is lightweight and could function equally as a top. 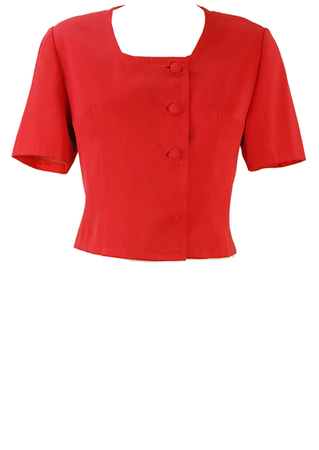 It is cropped approximately at the waist and is in excellent condition. Please refer to our measurements for further sizing guidance. 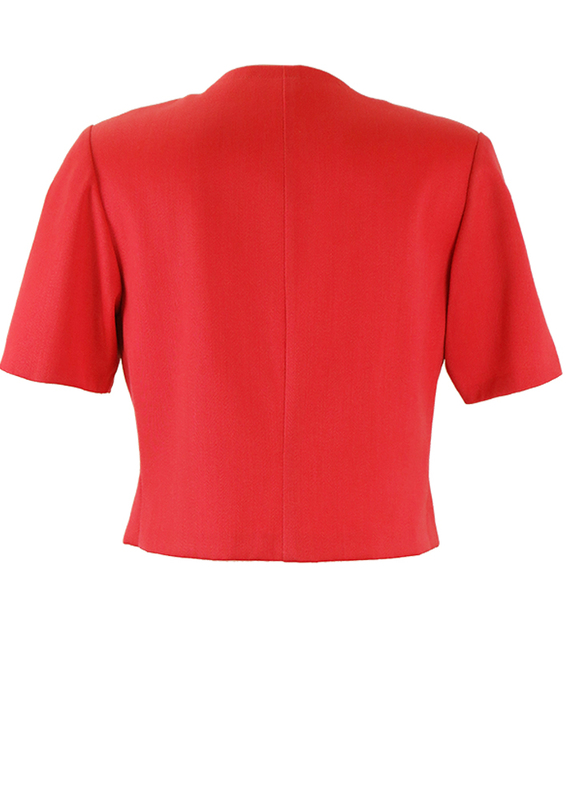 The jacket has been tailor made and although there is no fabric label it has a part cotton/man made blend to it.